I thought these two colors would make a great combination together. 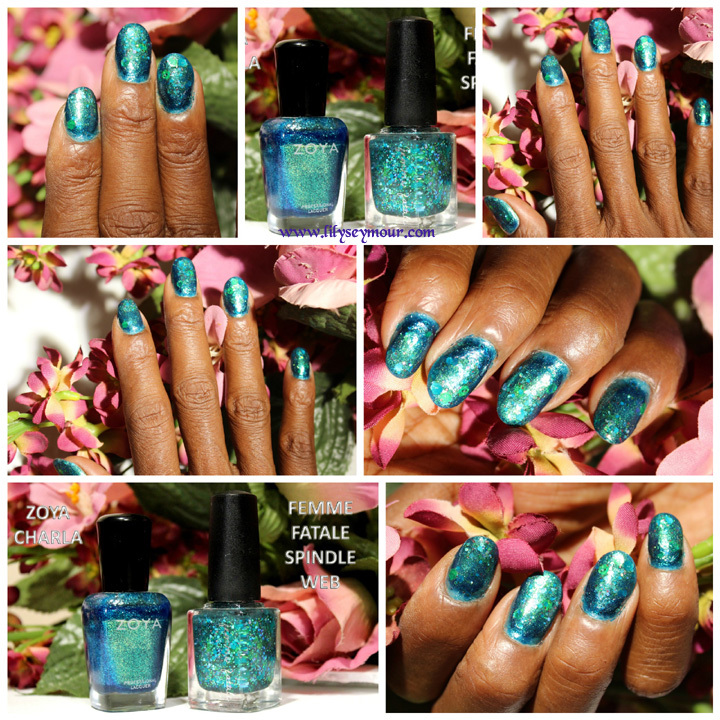 The colors are really a teal-blue-green and their are chunks of green, teal and blue in the Femme Fatale glitter polish. I did a thin layer of gel along with a thin layer of gel top coat and cured both underneath a UV light. Then I removed the sticky coating with alcohol and they were pretty smooth. This allowed me to use regular nail polish to complete the look.